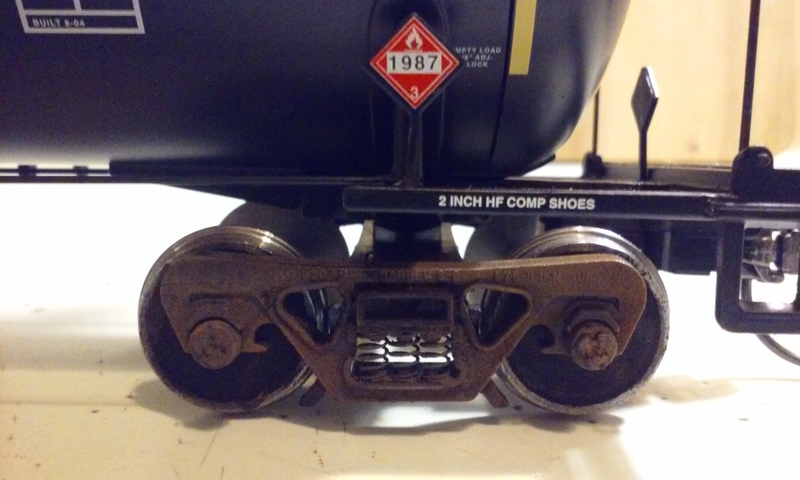 Lionel 30k gallon ethanol tank car with NWSL 36" wheels & Lionel scale trucks. Weathering was done using grimy black paint & grimy black powder. Also rail brown paint with earth or dirt brown powder was used.